Whether you are an avid fisher or you are new to the world of fishing, researching fishing reels to find one that is right for you is an important first step. 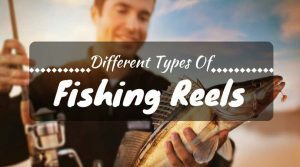 There are so many different reels out there in a variety of different styles, and it might seem a bit daunting to have to go in blindly and select one for yourself. If you are already experienced in fishing, you might choose something that is a little higher grade, such as those reels that professional fishers use. However, if you are new to fishing or if you are upgrading from a spinning reel for the very first time, you might want something a little more entry grade. 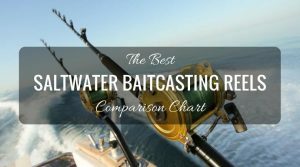 Either way, there are a variety of fine baitcasting reels available in 2017, and while some of them have more features than others, as well as more things to consider when purchasing (such as construction materials, spool size, and how powerful the reel is), this guide will help you select a fishing reel that will allow you to catch the fish of your dreams (and have an easy time in the process!). When looking to purchase the best baitcasting reel for your fishing needs, there are several things that you should look for. Depending on your level of fishing experience, some of these things might not matter as much to you, but for those who have been fishing for years, some of them will make all the difference in your fishing style and the experience you have while out on the water. 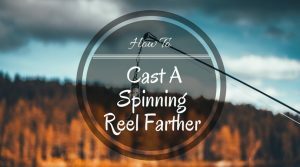 It’s no surprise that a baitcasting reel has a bit more power than your typical spinning reel, and in fact, that’s why many experiences fishers will choose this. The baitcasting reel can give you the ability to cast further and more accurately, allowing you to have plenty more power over your fishing experience. Some reels are more powerful than others; so be sure to choose a reel that offers the correct amount of power for what you need. If you’re going to be out on the ocean and catching larger fish, it might be better to invest in a reel that offers more power. The gear ratio of the fishing reel is what determines the speed of the reel. Every reel has a gear ratio, and some of them are higher than others. The most common baitcasting reel gear ratios are 5.4:1, 6.4:1, and 7.1:1. If you aren’t sure what they mean, let’s break them down: the first group of numbers of the ratio (for example, 5.4:1) will tell you how many revolutions per crank of the handle the spool will give you (in our example, the spool will revolve 5.4 times per each turn). The 1 on the end stands for one revolution. While you might be tempted to go for the largest gear ratio you can find, some fishing techniques work better with a lower revolution, too; it can be a bit of an experiment to figure out what works best for the type of fishing you do. When purchasing your baitcasting reel, it’s important to look at what the reel is made of, so you can tell if it’s been made with quality materials and if it can hold up to long periods of fishing. Most of the higher quality materials consist of graphite or aluminum, which tend to be lightweight and easy to care for. Some reels might have more ball bearings than others, but the high quality ones tend to list things such as “shielded ball bearings” on the package. 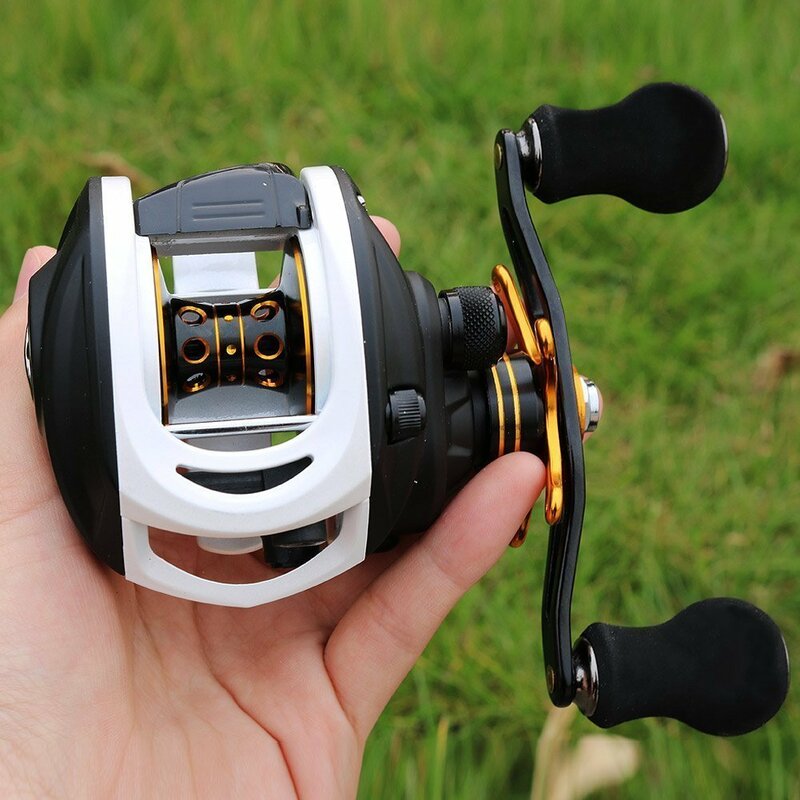 When purchasing a baitcasting reel, take into consideration the speed (gear ratio), the ball bearings (the amount as well as whether or not they are shielded), and the materials that the reel is made with (such as aluminum or graphite). Another interesting thing about baitcasting reels is that they come with braking systems. These braking systems are good for helping you to prevent backlash – in which your spool keeps revolving after your lure or bait stops moving, thus creating a huge tangled mess of your fishing line. These brakes and the tension system keeps your line taut and ready to go, so that you don’t need to worry about this happening! There are two different types of brakes: magnetic breaks, which work by relying on the spool and magnets, which are designed to come together to stop the line from moving, and centrifugal brakes, which are friction based brakes that rely on a pin system. The size of the spool allows you to add more fishing line to your reel. If you plan on fishing at long distances or think you’ll require more line, then you might want to search for a fishing reel with a larger spool. Some baitcasting reels tend to be heavier than others, so you need to pay careful attention to how much your reel weighs, especially if you plan on using it for longer periods of time. Lightweight aluminum tends to work better for reels that are going go get frequent use. They are also great for beginners, or those who plan on spending a lot of time fishing, making it easier to hold the equipment so that you don’t get fatigued as easily. Every year, there are new and improved baitcasting reels being released on the market. Some of these reels are brand new models, while others might be improvements and steps up from older models, correcting problems from previous years and upgrading materials and features to make the reels more enjoyable and easy to use. The improvements and brand new reels (often from companies that you might purchase from already) make up a great section of the market, with plenty to choose from. In this section, a brief overview of eight popular fishing reels for 2017 can be found, noting materials, weight, and other important features that will be beneficial to your fishing. The Lew’s Fishing Tournament MB Baitcast Reel has a variety of ways to customize this reel to make it a perfect fit for you! 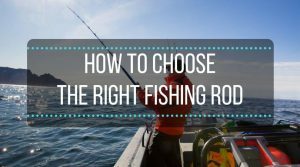 First, choose a right handed or left handed retrieve, and then choose your gear ratio from several different options: choose from 5.6:1, 6.8:1. 7.5:1, or 8.3:1, making your fishing experience smooth and lightning fast! 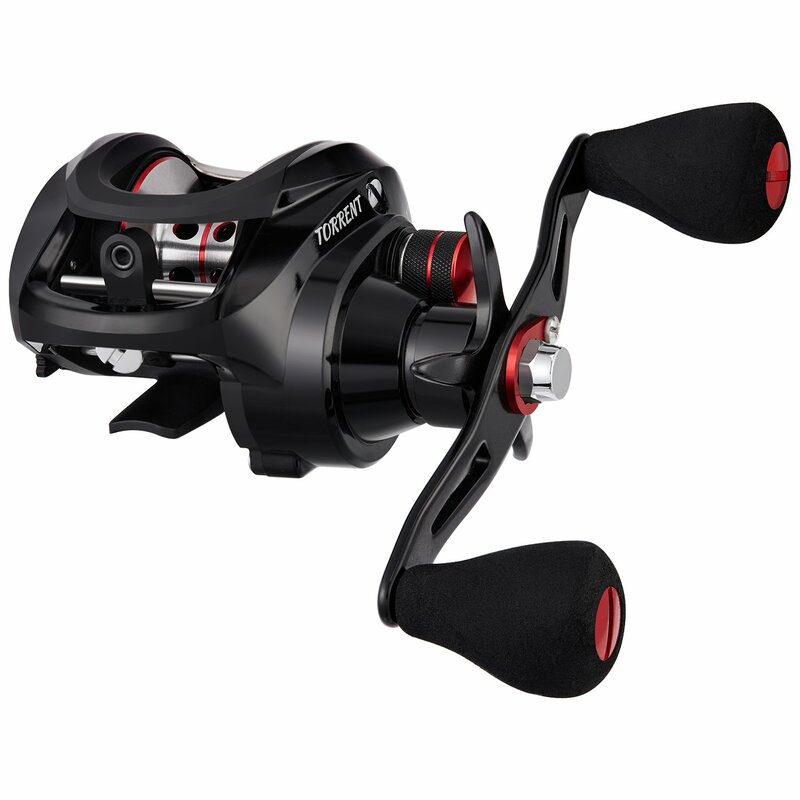 The 9 + 1 ball bearings in the fishing reel allow you to have a smooth and enjoyable experience. 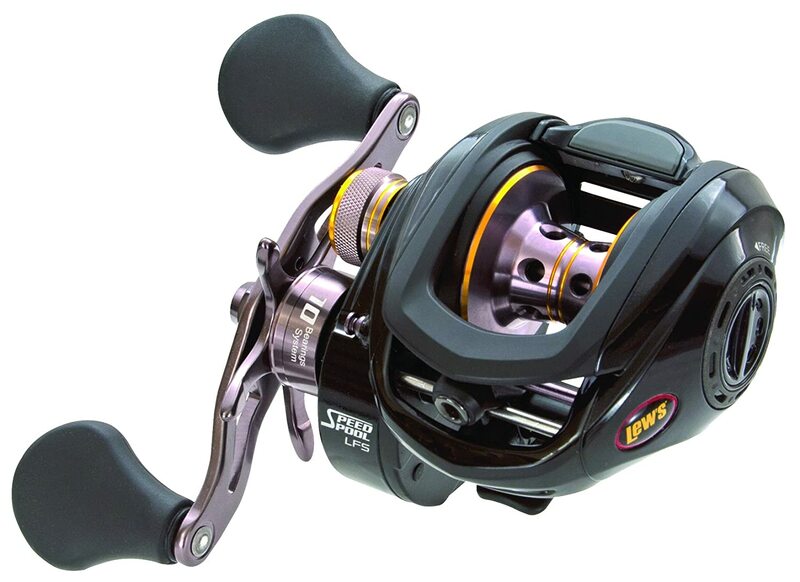 The Lew’s Fishing Tournament MB Baitcast Reel also features an MSB, or Multi-Setting Brake, which combines both a magnetic cast control and a centrifugal braking system to give you the most accurate and smooth cast you can get. In fact, the MSB system allows you to cast at impressive distances, giving you more of an ability to fish from a variety of places. At only 6.7 ounces, this is one of the lightest reels out there, opening you up tot he ability of fishing all day without fatigue! The aluminum of the fishing reel has a purplish hue to it, giving it a hint of character to its appearance. The consistency of the reel is an impressive factor, as is the brand name, so you can be sure you are getting quality from the reel. The braking system is fully adjustable, so you can change it to your liking and the way you fish. These reels are perfect for fishing for a variety of fish, including large bass. The Daiwa Tatula Baitcast Fishing Reel is an attractive fishing reel that is made by the Daiwa company, a company that knows their fishing gear! The lightweight reel is made from durable, yet lightweight aluminum, making it a great choice for longer fishing expeditions. The reel itself weighs around seven ounces. Perfect for small and large fish (even those weighing as much as twenty pounds! 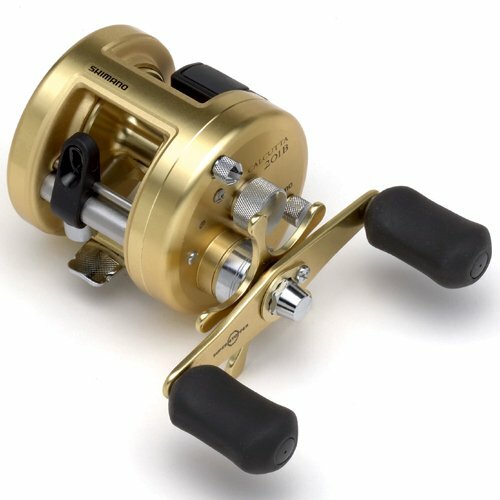 ), this reel can be used in both saltwater and freshwater environments (provided proper care of the reel is taken, of course), and for a variety of fishing techniques – making this an incredibly versatile reel! 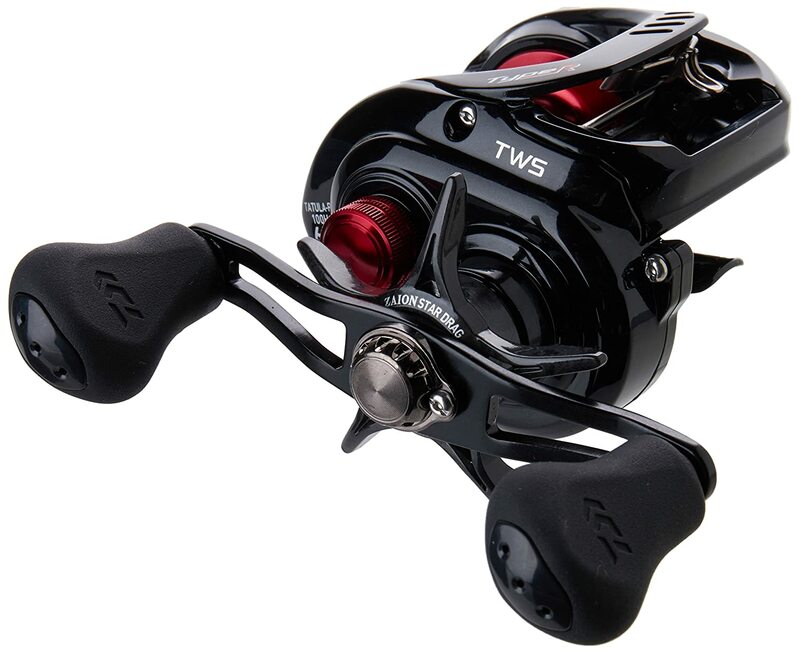 The carbon drag of the reel has a max stopping power of 13.2 pounds. 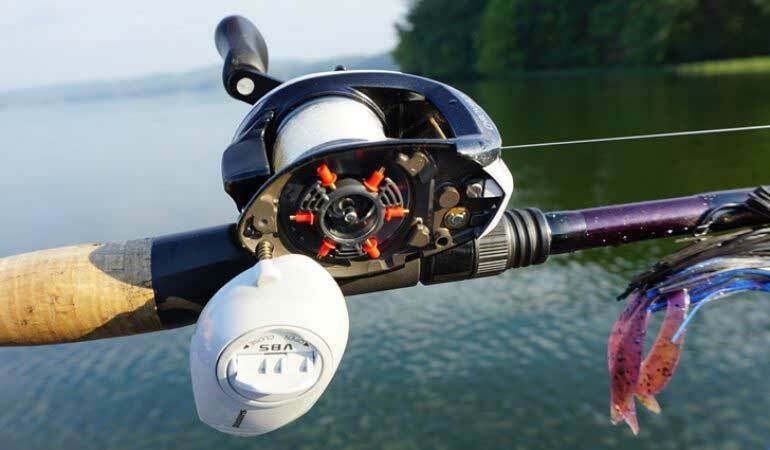 The handle has an interesting design with a non-slip grip and a cutout design, which reduces the weight of the reel without sacrificing any power or functionality. The smooth reel has 7 + 1 ball bearings, and a gear ratio of 8.1:1, allowing you to bring in your catch lightning fast! This high rated reel allows you to cover plenty of distance with a very accurate cast, and you can choose left hand or right hand retrieval. The Shimano Calcutta B Round Reel is a solid performer that will last for years to come if properly cared for, and is a popular fishing reel among those who have experience with baitcasting reels and those who are looking to get better acquainted with baitcasting reels and would like a reel that will last them for years. This reel features some of the Shimano Calcutta’s most popular features, such as the attractive gold exterior and the 3 + 1 ball bearings found within. This reel is perfect for a variety of fishing techniques, and is amazing for catching both big and small fish. The anti-rust bearings found within the reel are easy to care for and allows the reel to be used in both freshwater and saltwater, making this incredibly versatile. The reel has a 6.0:1 gear ratio. This fishing reel can be used to catch large fish (even as much as eighty pounds with ease! ), and has an 18 pound max drag stopping power so that you can be sure you will be able to take down the large fish! You also have the option to choose a left handed or a right handed retrieve on the reel, making it a perfect fit for everyone. One of the highest quality fishing reels on the market, you can be sure the Shimano Calcutta B Round Reel will last you a long time! Not only is the Sougayilang Baitcasting Fishing Reel attractive, but it is full of features that are great for new fishers and those who have been fishing for years. With 9 + 1 ball bearings, you are on the right track to a smooth fishing experience! The gear ratio on this fishing reel is 7.0:1, allowing you to get in plenty of revolutions per turn of the easy to grip handle. The magnetic braking system on the Sougayilang Baitcasting Fishing Reel make it easy to cast smoothly and then stop before your line becomes tangled, allowing you to enjoy the activity you love best. The reel is low on noise and big on performance, and you can take this one to a variety of different environments for a quiet, relaxing day of fishing. The reel has a carbon fiber drag system that allows up to twelve pounds of max drag, so you can use it for a variety of fish. With a graphite body in two different colors, this reel is clearly a beauty! Top rated and from a trusted company, this fishing reel is easily adjustable in terms of drag and the braking system, making it a treat to use on the water! The Piscifun Low Profile Baitcasting Fishing Reel offers up plenty of features, including an impressive 13 + 1 shielded ball bearings, that allow you to easily use your reel for both saltwater and freshwater fishing. The ball bearings are corrosion resistant, meaning that you run a lesser chance of running into rust and corrosion problems than you would with other reels that do not have shielded ball bearings. 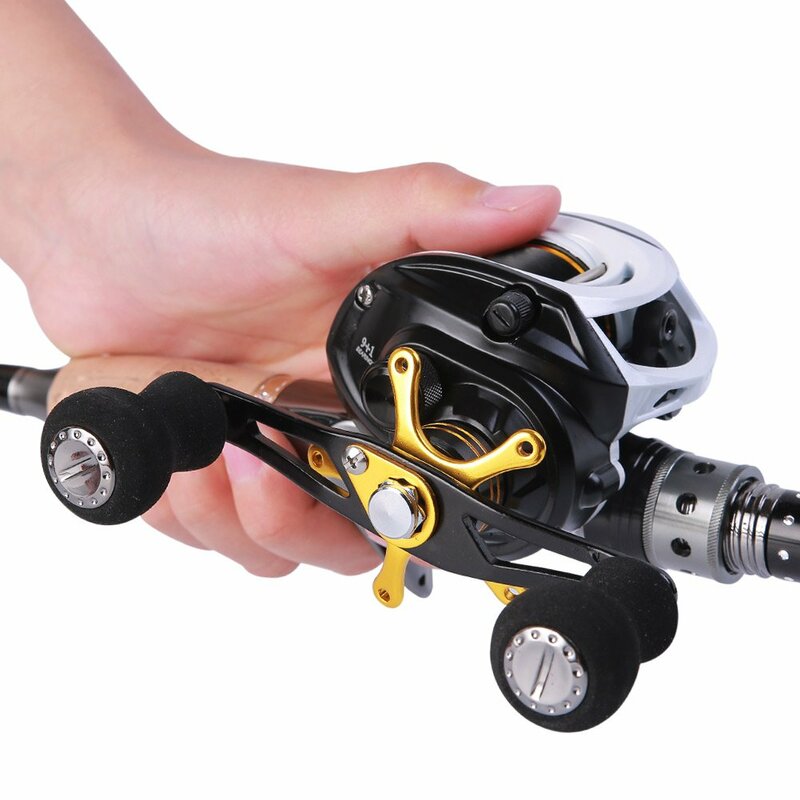 The incredibly durable fishing reel is made from two color anodized CNC Machined aluminum, including the spool, which gives you a lightweight product that makes fishing for long periods of time a breeze. The smoothness of this reel is something that you need to try, as it has a 6.3:1 gear ratio that helps you reel in your catch with ease. The reel is easy to take apart for cleaning and maintenance, as well as easy to put back together again. Made from lightweight graphite, the reel only weighs about seven ounces. The inside rotor mechnism of the reel is made from high quality brass to last you for years. 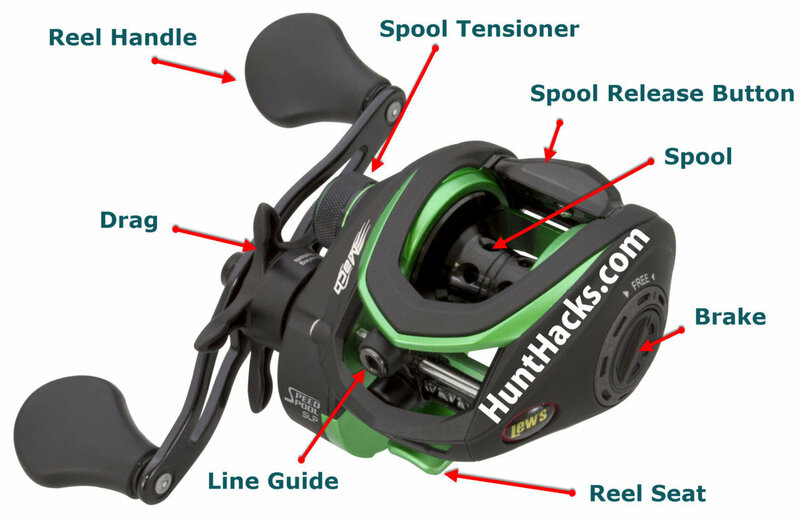 Featuring a 12 pound max weight drag, you have plenty of stopping power with this reel! Another notable feature of the Piscifun fishing reel is the magnetic braking system it contains, which allows you to have a constant pressure during casting to help you cast more easily and accurately each time. 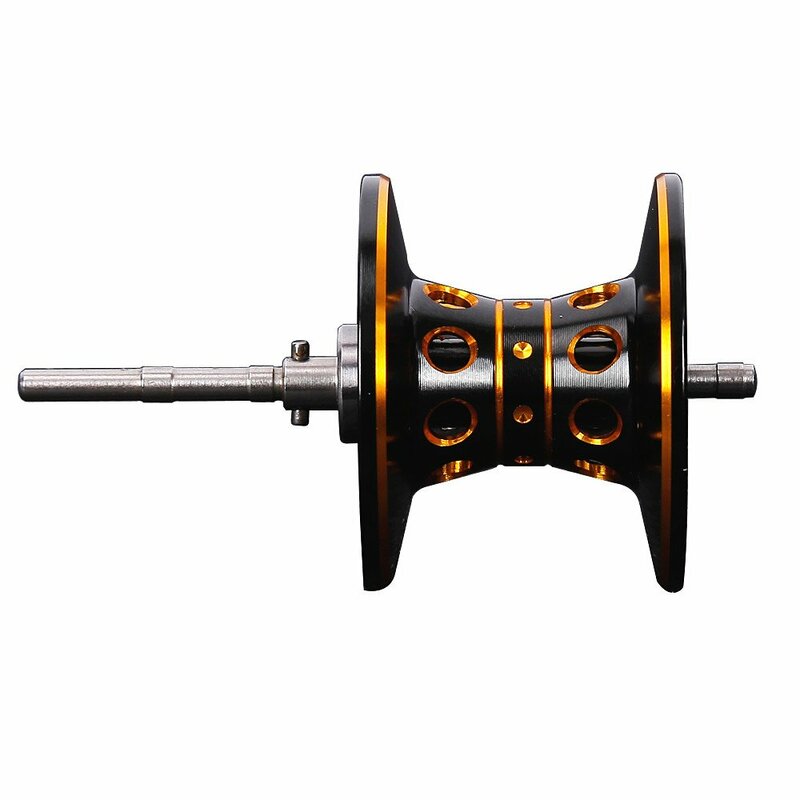 The braking system is also very easily adjustable, allowing you to get the right amount of braking in to customize your fishing experience fully. If you find your hands or the reel wet, it’s nothing to fret over, as the Piscifun reel features an oversized grip handle that does not get slippery when wet. The high performance reel also features low noise, giving you the peaceful and relaxing fishing trip you desire. Choose from left handed or right handed retrieval. The KastKing Rover Round Baitcasting Reel is a top seller made by a trusted manufacturer of fishing equipment. Improved for the year 2016, there have been several adjustments over older models that add up to a new and improved model, which is here. 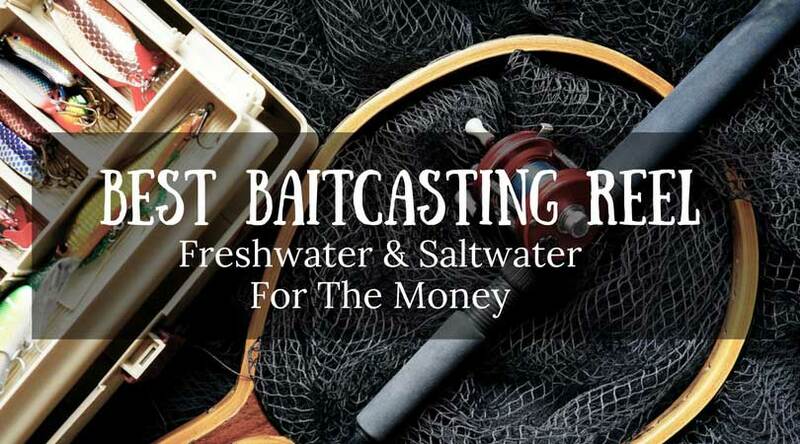 Perfect for both saltwater and freshwater fishing, the KastKing Rover Round Baitcasting Reel has plenty of features that will make you want to choose it every time. With reinforced hard anodized aluminum components, including a spool and side plates, you can be sure that this reel is durable and can stand up to difficult fishing tasks. The reel has a stainless steel shaft and handle, which stands up to corrosion very well. Whether you are fishing for small fish or large fish, such as bass, this is a great reel to choose, as this reel is incredibly powerful, with a carbon fiber drag system that offers up to 20 pounds of drag. The 6 + 1 premium ball bearings are shielded to prevent rust and corrosion, and are made specifically to give you a smooth fishing experience every time. 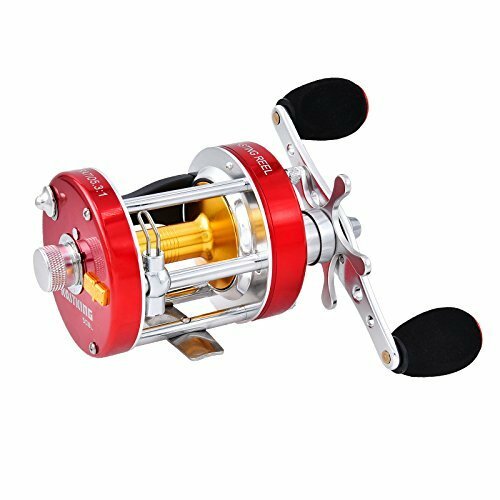 Because of the large line capacity with this fishing reel, you can use it for a variety of fishing techniques, making it an incredibly versatile reel. The reel is easy to use and fast, with an oversized handle for gripping and a gear ratio of 3.6:1. 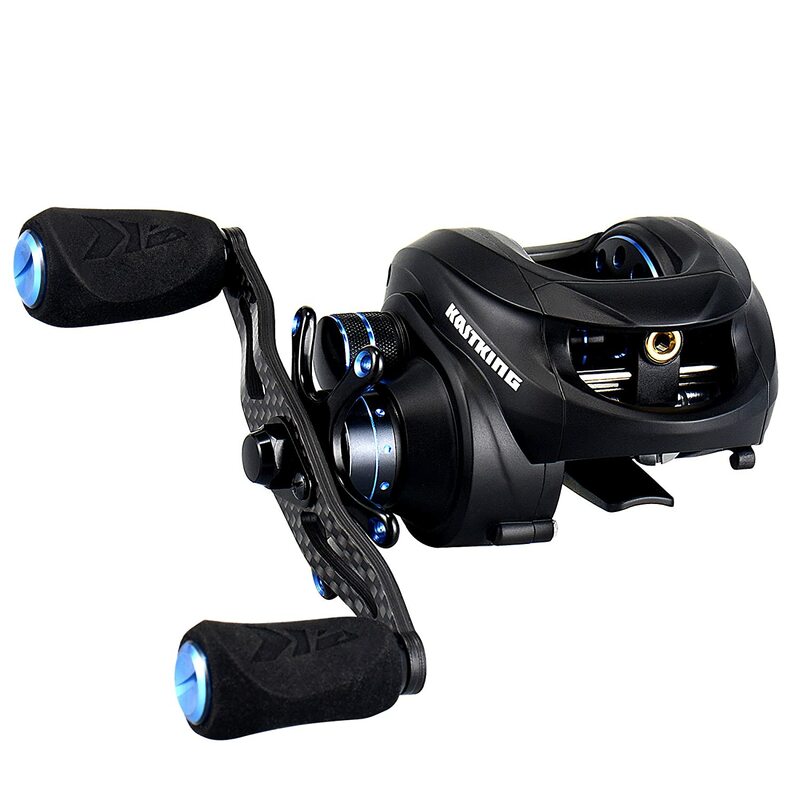 Another wonderful fishing reel from KastKing, the KastKing Assassin Carbon Baitcasting Reel is a lightweight baitcasting reel that is perfect for fishing in both freshwater and saltwater without any issue. The carbon body of the reel allows you to fish without worry of fatigue or corrosion, since it is lightweight and designed to be used in a variety of environments. In fact, this stunning reel only weighs 5.7 ounces! The reel has an attractive exterior that is smaller than other reels, making it less bulky on your fishing rod. With a 16.5 pound 4 disc drag, you have plenty of stopping power to make your catch. Perhaps one of the most notable things about the reel is the six pin centrifugal and magnetic dual braking system, offering you plenty of stopping power and making sure that your line does not get tangled as you fish, as well as offers you an accurate cast each and every time. 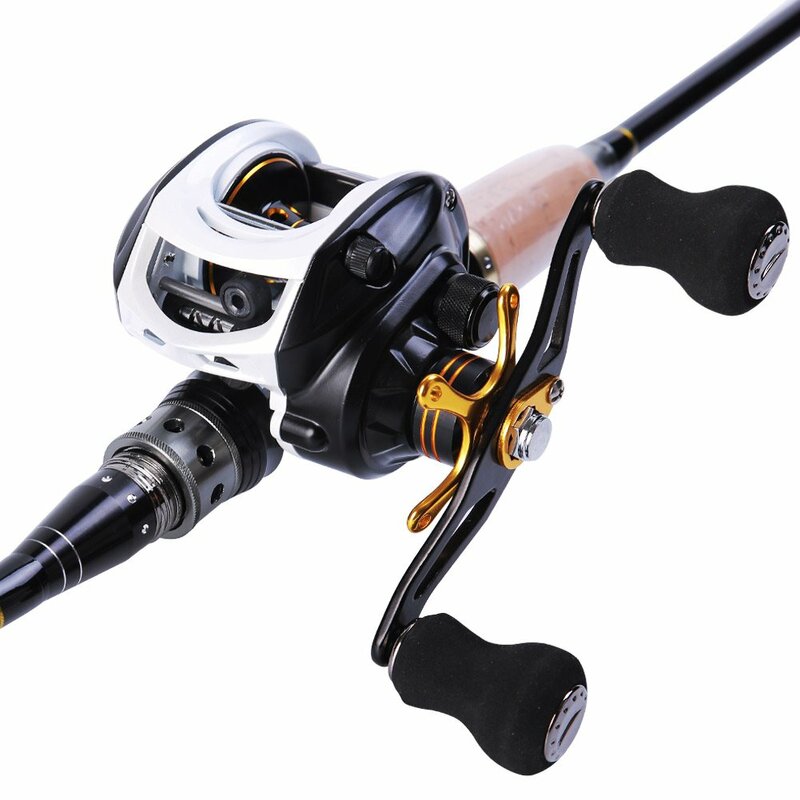 The experience will definitely be a smooth one, since there are 11 + 1 ball bearings in the reel, which are both shielded and corrosion resistant, giving you the power to head out on the lake or the ocean. The 6.3:1 gear ratio on the reel makes the experience even smoother, as does the instant stop anti-reverse features. The side cover for the reel is easy to remove and replace, as well, and the appearance of the reel is attractive. 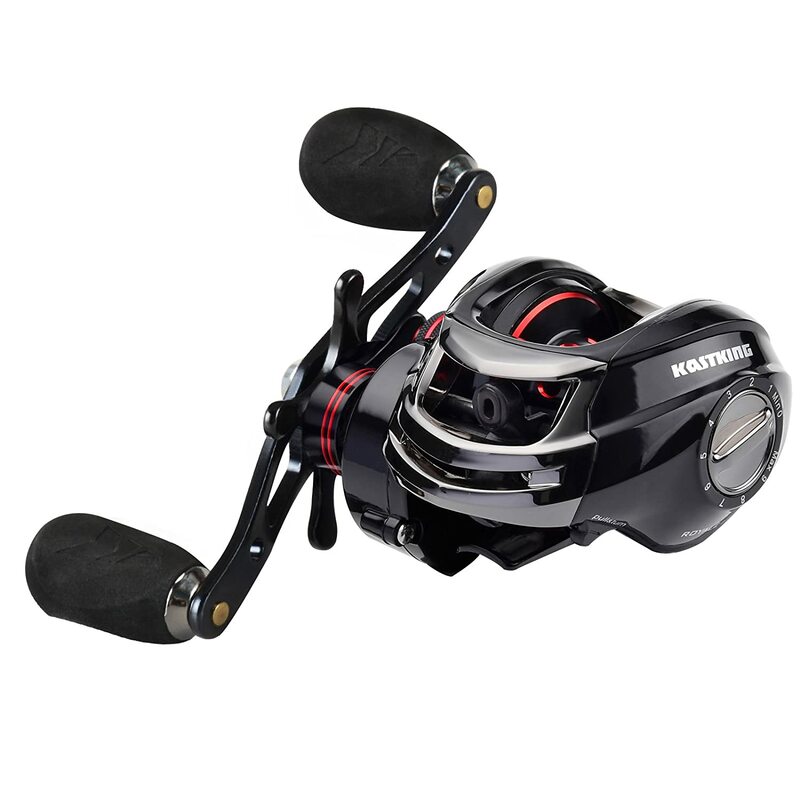 The KastKing Royale Legend Baitcasting Fishing Reel has a variety of features that make it one of the top bestselling baitcasting fishing reels on the market today. This reel is strong and perfect for catching a variety of fish, including trout and bass. Whether you are taking the reel out on the ocean or to the lake with your kayak, this is an amazing choice for both experts and novices alike. As far as features go, the KastKing Royale Legend is loaded up with them, including 11 + 1 shielded ball bearings, which are great for keeping your reel protected from salt water and the elements, helping them last longer. It also has a 4 disc, 17.5 pound carbon fiber drag, adding strength to the reel. The reel, which is incredibly silent and perfect for fishing during all hours or in any environment, has a 7.0:1 gear ratio, allowing you to get plenty of line in during your revolutions while reeling in your catch. The brass gears and specialized dual braking system allows you to keep your line untangled and working well throughout your entire fishing trip. The frame of the reel is made from two color anodized aluminum, which adds strength and makes the reel more durable. Available in both left handed and right handed varieties, this is a great choice for those looking to try their hand at a baitcasting reel or add a solid reel to their collection. If you are looking to choose a baitcasting fishing reel that you are going to have in your gear selection for a long time, it is important to do research on the type of equipment you are looking for, as well as on certain models. This allows you to get a feel for exactly what you are looking for in terms of design, features, and ease of use. When choosing a baitcasting fishing reel, remember to take a look at certain things before you make your purchase. Keep power, gear ratio, ball bearings, materials, speed, brakes, spool size, and weight in mind when doing research. 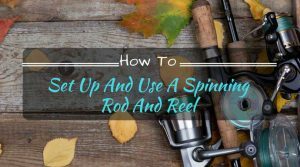 If you plan on using your fishing reel﻿﻿ for long amounts of time, for example, you might want to choose something that is more lightweight, such as aluminum. If you are planning on doing a lot of saltwater fishing, you will need a reel that has anti-rust components or components that are able to resist corrosion, such as those with shielded ball bearings. This will allow you to get many years of use out of your reel. With proper care, you can invest in a good baitcasting reel and spend many years using it, so be sure to take proper care of your gear so that you are able to use it for a long time. 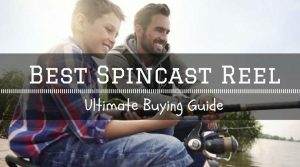 Whether you are looking for a baitcasting reel as a first time user, upgrading from your spinning reel, or if you are an experienced fisher looking to purchase a brand new piece of equipment to replace or compliment others in your gear, the three best baitcasting reels listed above can get you started in the right direction! The eight top baitcasting reels of 2017 are new models and bestselling models from top companies, so either way, you can be sure that you are getting plenty of quality for your money.